So, next in the list is Dhan Yoga, a planetary combination that can provide you wealth. 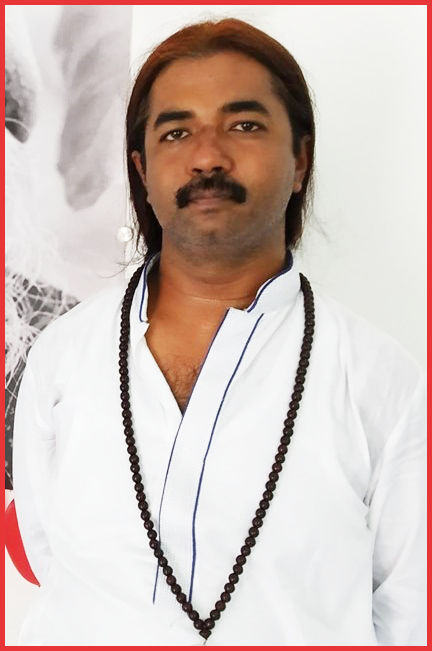 Dhan Yoga or as it is also called as Lakshmi Yoga, occurs in a horoscope when Lords of 1st house, 2nd house, 5th house, 9th house and 11th house are either exchanging their houses or sitting together in any house or they mutually aspect each other or a single aspect from one planet to another is there. Again, to understand it lets see the attached chart. Sign and Lord of 1st house - Scorpio, its lord is Mars. Sign and Lord of 2nd house - Sagittarius, its lord is Jupiter. Sign and Lord of 5th house - Pisces, its lord is again Jupiter. Sign and Lord of 9th house - Cancer, its lord is Moon. Sign and Lord of 11th house - Virgo, its lord is Mercury. Now, let's see how many Dhan Yogas are being created in this horoscope. 1. Moon, Lord of 9th house is sitting in 1st house. Exchanging houses. 2. Jupiter, Lord of 2nd house is sitting in 9th house. Exchanging houses. 3. Jupiter again, Lord of 5th house is sitting in 9th house. Again exchanging houses. 4. Mars-Mercury conjunction in 10th house. Mars is Lord of 1st house and Mercury is Lord of 11th house. 5. Jupiter's 5th aspect to Moon. Jupiter is Lord of 2nd and 5th house and Moon is Lord of 9th house. 6. Mars' 4th aspect on Moon. Mars is Lord of 1st house and Moon is Lord of 9th house. So, in this simple looking chart, there are at least different types of Dhan Yoga. It means money will come into his life one way or the other. And why only in his life? Money comes in life of all of us one way or the other. We just need to put our best efforts on the path of our destiny. Money and Success is just the result of our right efforts. Just wanted to convey this message. All of us think Money is necessary for living life, well it is, Agreed. But what I sometimes feel and we all have to agree on this that breathing is more necessary for life. We can easily survive for one day without money but we can't survive for one minute without breathing air, and guess what? It is free of cost. So, what did God want to convey to us when he gave us oxygen free of cost? "That do not worry about your needs. Whatever is necessary for your life, I will provide you. You only have to figure out your bigger role in this world and work towards it to make this world a better place with your contribution". And, by the way, this Dhan Yoga will activate and this person will earn money in the Mahadasha/Antardasha of planets involved. @ ishwar - because it is house of hard work and 11th house is the house of results of hard work. So, 11th house is wealth giving. 10th house is a one of the artha trine. Why its not included in dhan yoga. @ RB - There are many Dhan Yogas in every chart. Sir, Kamya lagna, Vrischik rashi. 5 Planets in Vrischik - Surya 2 degree, Chandra 12 degree, Guru 19 degree, Budh and Shukra 23 degree. 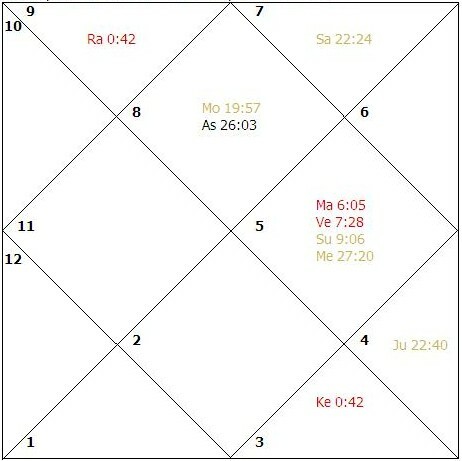 Rahu in 5th and Ketu in 11th house - 14 degree. Shani in 9th house, retrograde - 10 degree. Do I qualify for Dhan / Laxmi yoga? Sir, i read 11th lord in 9th house forms a dhan yog in your site then why dont you mention it here it is not one of the top dhan yogas? I have this combination- iam cancer asc moon in taurus 11th house, venus in pices 11th house itis forming any dhan yoga?